Blood, Bones and Butter by Gabrielle Hamilton (2011). Books about food are always interesting to me but I think this memoir by one of America’s most respected female chefs transcends that genre. Hamilton holds a MFA in writing and it shows. She sometimes left me breathless with her creative use of language, her turns of phrase, and well, her fluency. She’s led a fascinating life (heck, she’s only in her mid to late forties) which started with growing up in a crumbling castle in rural Pennsylvania where her parents threw an annual lamb roast party, to working as cook at a summer camp in the Berkshires, to marrying into an Italian family that led her to spend a month of every summer in the boot of that country learning from the natives. Of course, it’s more than food she’s writing about. It’s about struggling to figure out what she wants to be when she grows up. It’s about learning how to create her own family, to figure out what happened in her family of origin, and how to manage a fantastic restaurant on top of it all. It’s delicious. The Mistress of Nothing by Kate Pullinger (2011). This short novel is very satisfying and fills the reader in on a little known piece of history. The story chronicles the voyage of real-life Lady Duff Gorden who’s forced to leave England in the 1860’s and travel to Egypt as a result of tuberculosis. It’s told from the perspective of her lady’s maid whose own story is also fascinating (love and intrigue included). Lady Gordon and her domestic servant travel in houseboats on the Nile and live in an ancient palace in Luxor. Author Pullinger researched her topic carefully and based it on a published book of Gordon’s letters (see http://www.amazon.co.uk/Letters-Egypt-Lucie-Austin-Gordon/dp/0860684555) and it really brings that era, the sights, the sounds and women’s struggles vividly to life. I loved it. 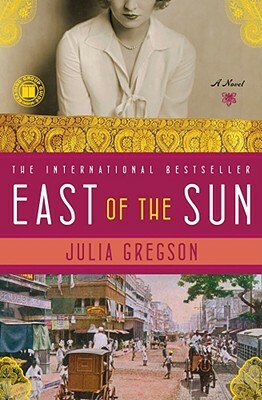 East of the Sun by Julia Grigson (2009). I blindly picked up this book at a bus station shop because I’d temporarily run out of things to read and was on the road. I hadn’t heard anything about it but spent the next few days engrossed in England/India circa 1928. It’s historical fiction (and labelled as romance but it’s not cheesy – really!) and I learned more about the generation of “Raj Orphans” (see our review of “Old Filth” by Jane Gardam) and about a group known as the “fishing fleet”, women who went over to India to find husbands (and much more).